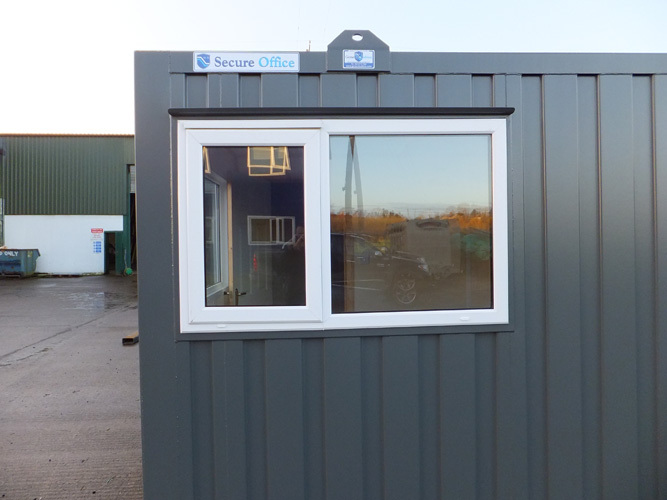 Our secure steel office range, including standard anti-vandal and bespoke offices, is widely used on construction sites and for permanent office accommodation. 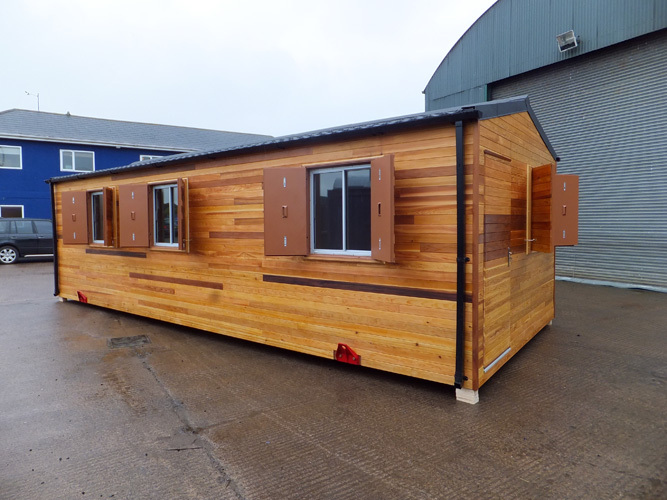 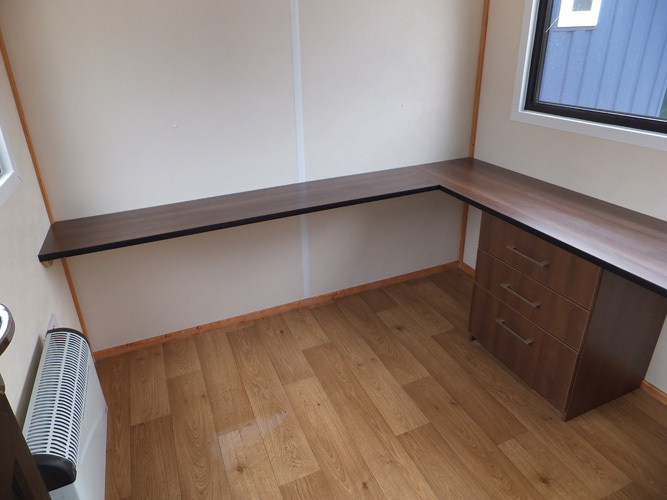 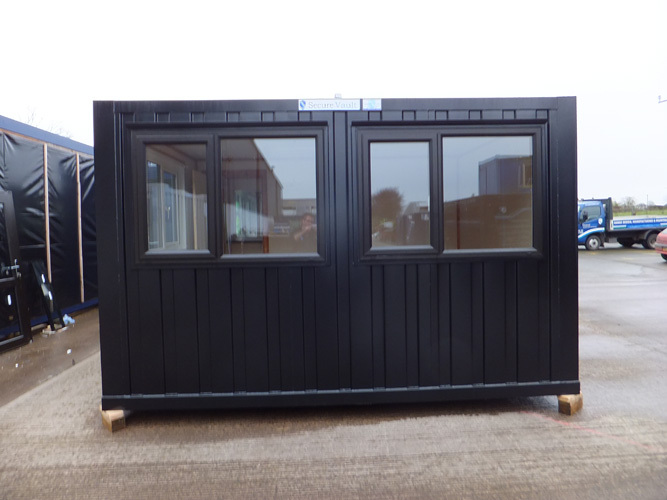 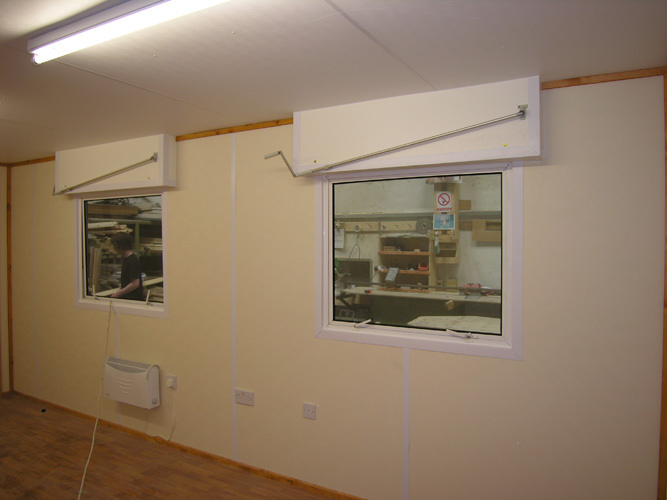 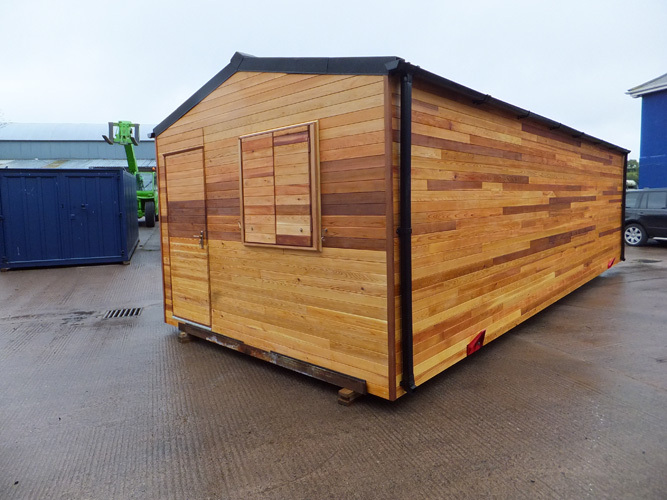 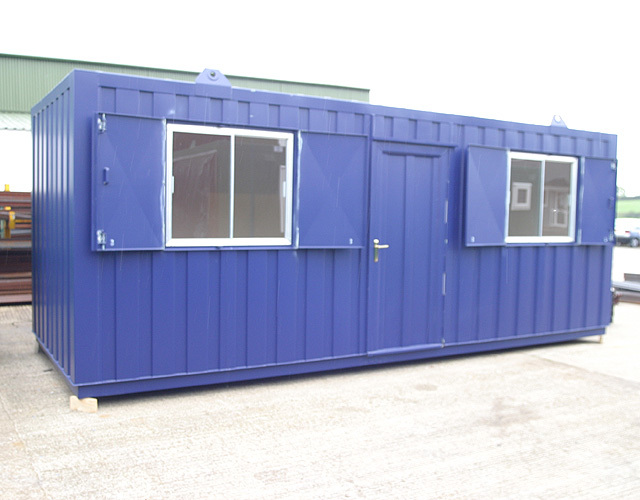 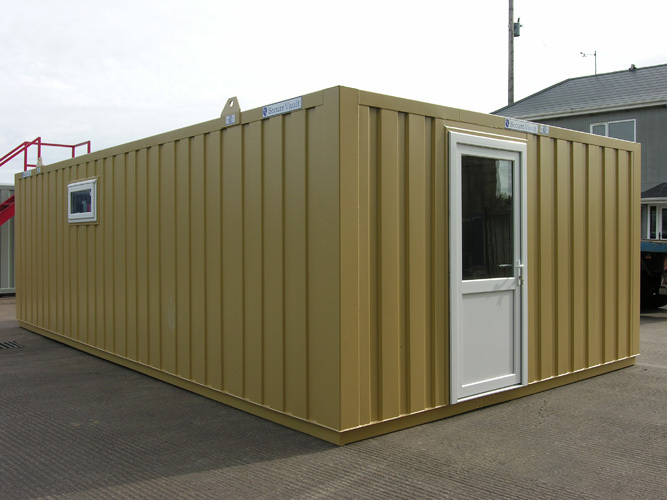 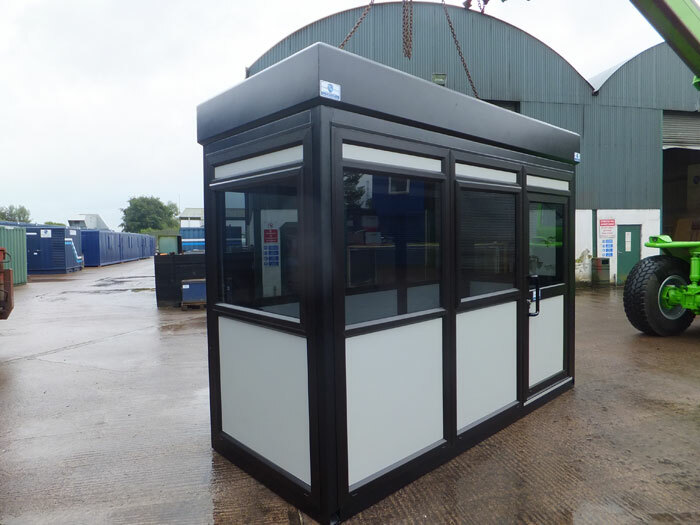 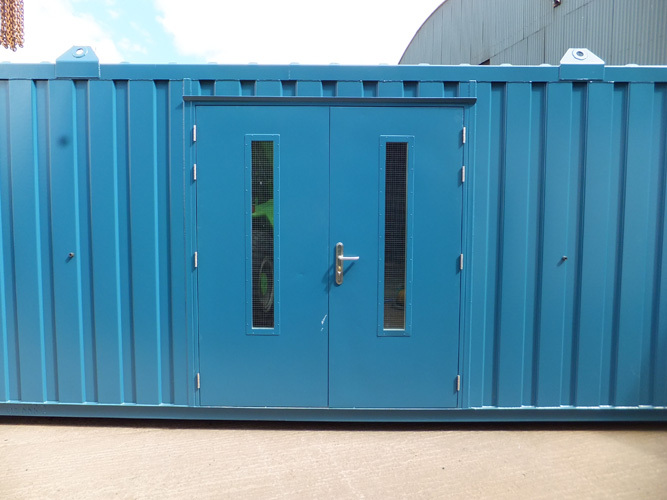 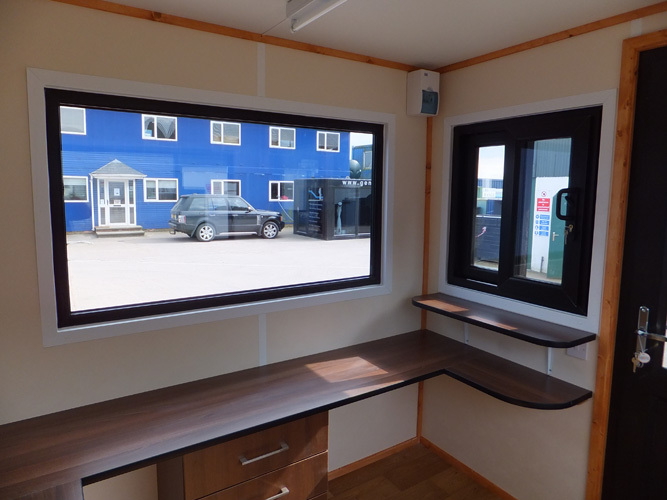 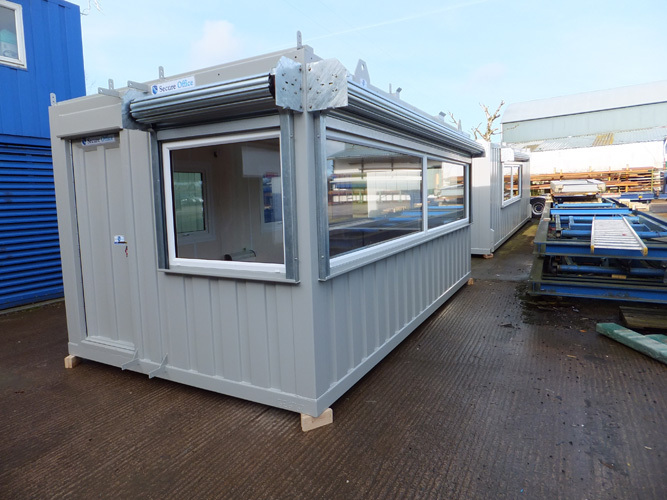 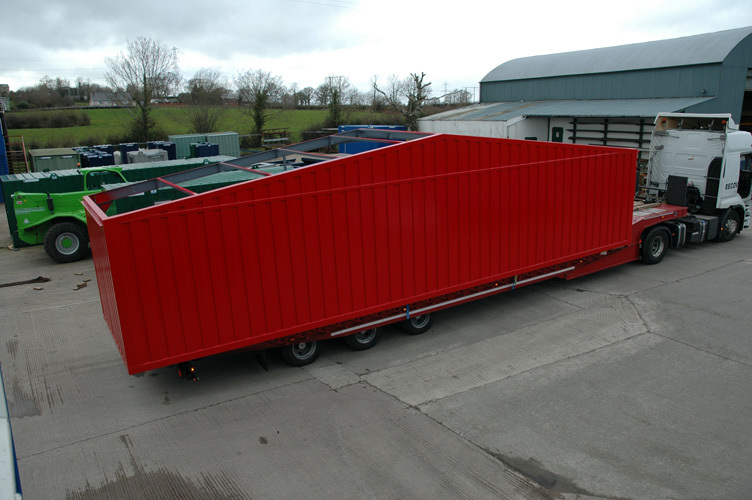 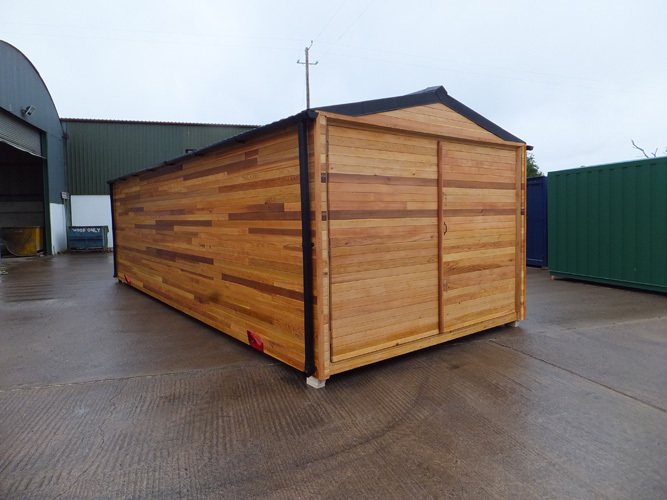 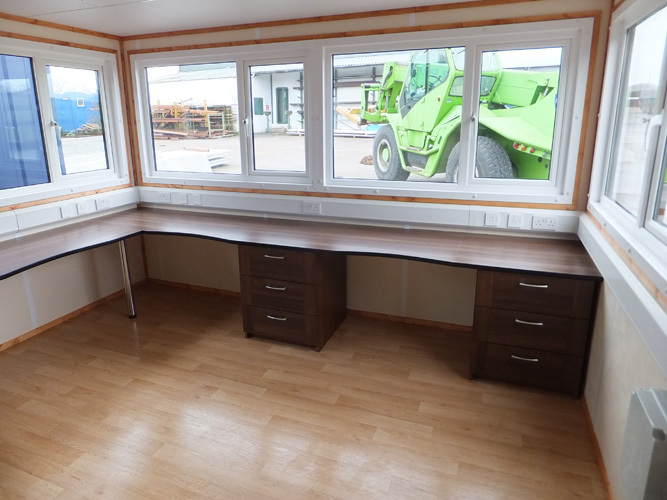 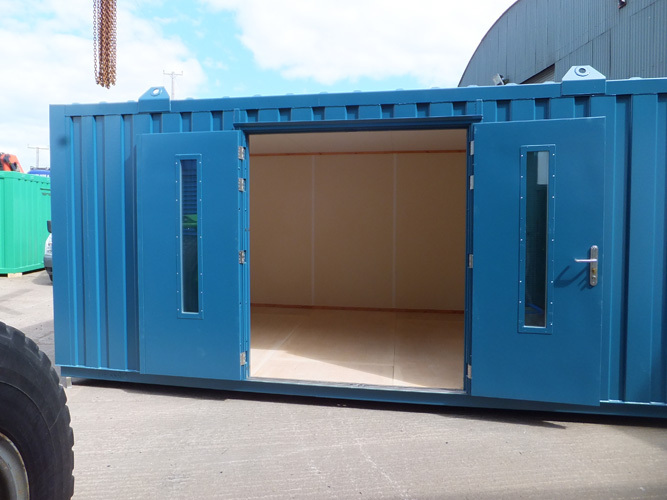 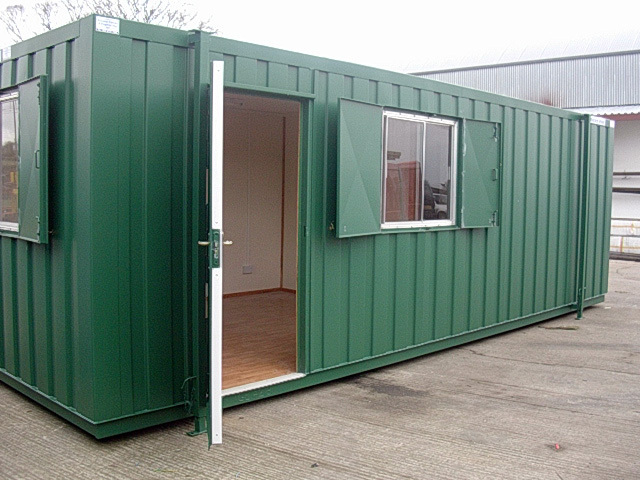 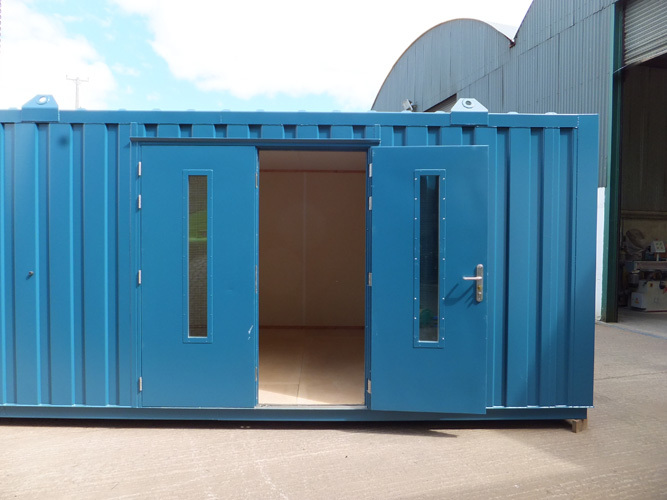 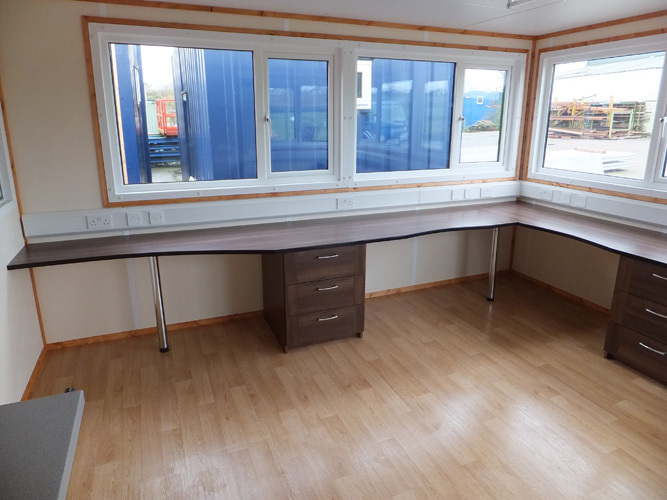 Standard widths of 8ft, 10ft and 12ft and with one section units up to 40ft in length, General Cabins can manufacture an office or office complex to meet your specific requirements. 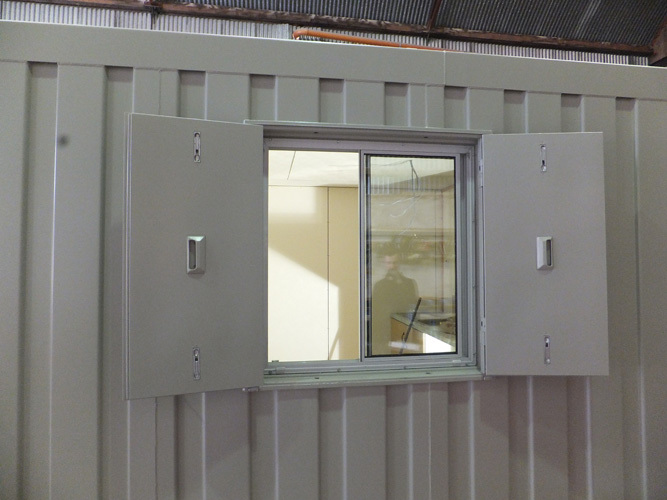 All our steel enclosures are manufactured at our purpose built factory to the highest standard using heavy gauge steel fully welded construction, primed with zinc phosphate and finished with high build marine paint. 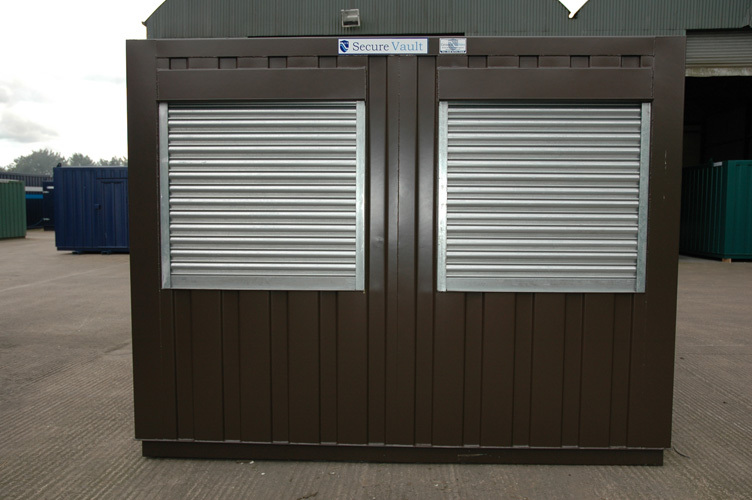 Anti-vandal units can be supplied with jack-legs and/or fully welded lifting eyes and can also be stacked up to 3-tiers high, complete with external stairs and landings. 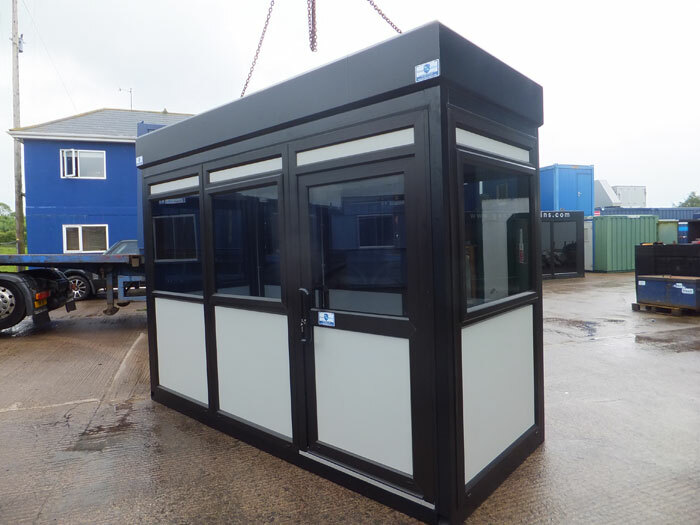 Only the imagination limits the potential for the design and use for steel section buildings that have the strength and security of a traditional block build for a more cost-effective budget and time scale. 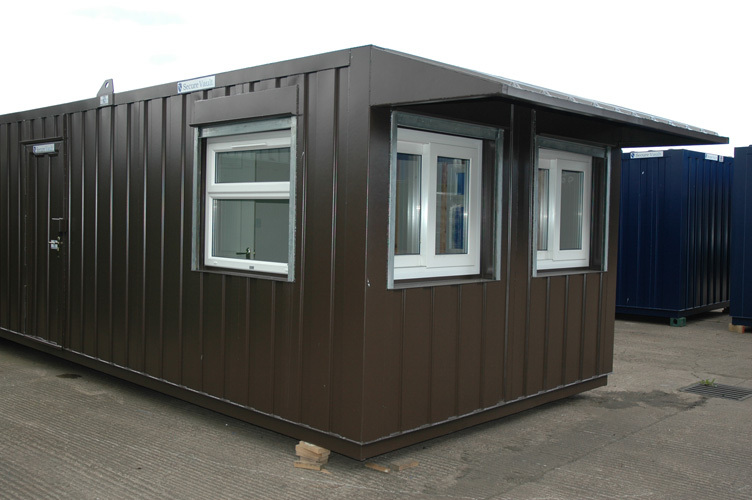 Easily transported time after time to give you professional corporate offices wherever you are. 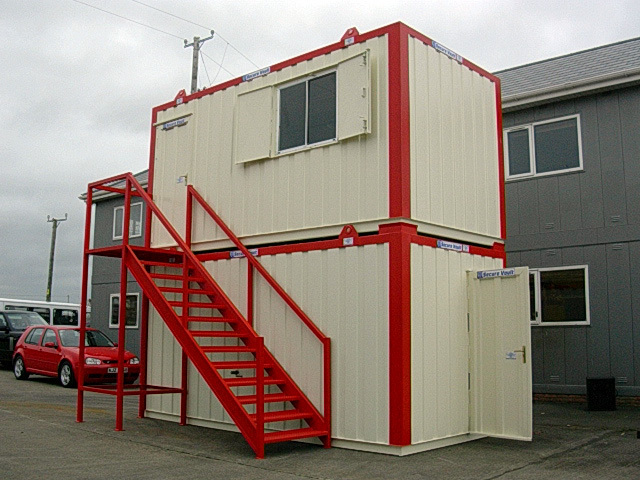 Two-storey office complex fully fitted with internal stairs, reception, offices, meeting room, central heating and coffee bar area. 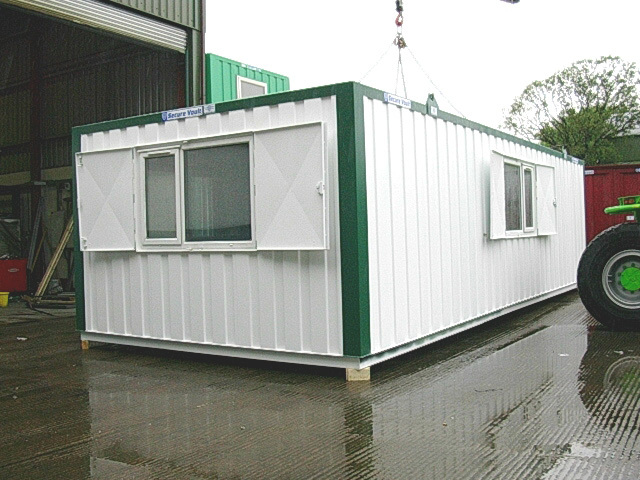 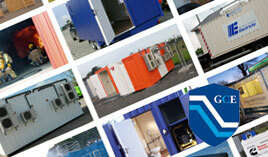 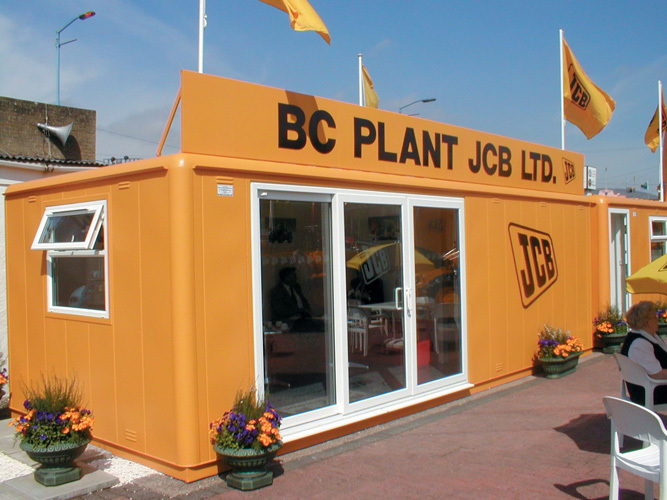 Large, single-storey sectional office complexes can also be manufactured to meet your requirements. 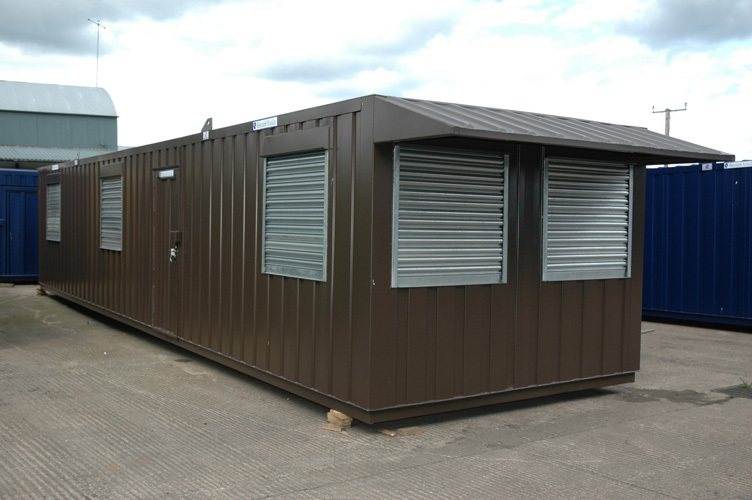 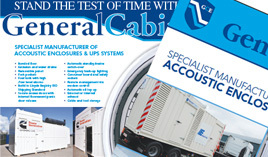 © 2014 General Cabins Ltd - Static & Towable Secure Accommodation - General cabins, General Cabins Ireland, Secure Cabins, Steel Enclosures, Static Cabins, Towable Secure Accommodation, secure office, secure towable, secure power, mobile freezer, Secure offices, Secure stores, Secure toilet blocks, Secure canteen facilities, Secure changing / welfare facilities, Secure power sound proof generator enclosures, Towable units fitted out for your application e.g. 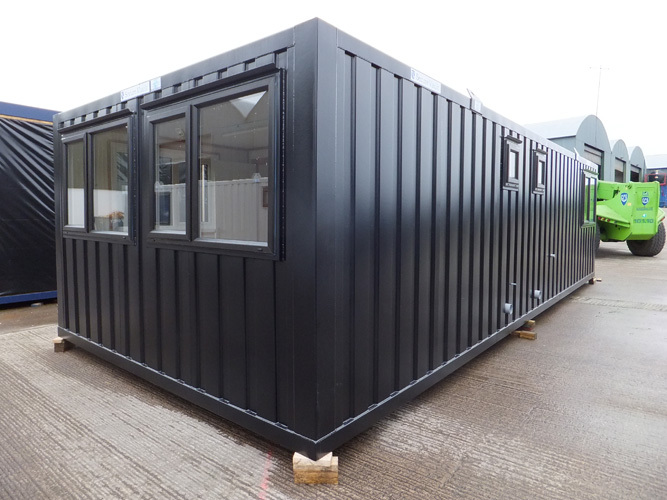 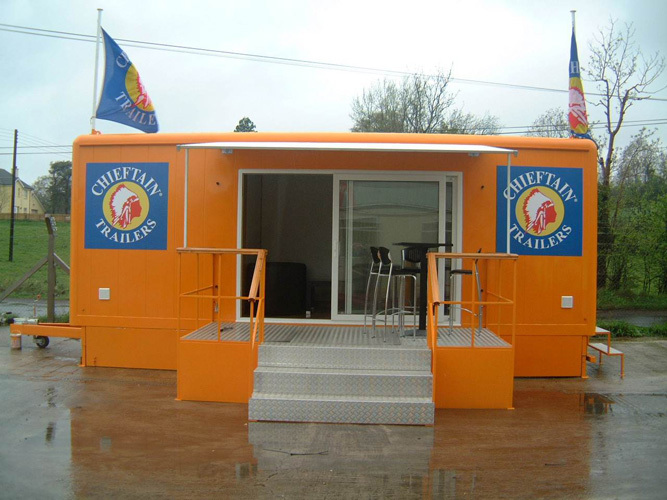 office, welfare, Utility Pods/Halting Site accommodation, Exhibition/marketing suites, Living accommodation, Cafe/canteen facilities, Mobile freezer/chiller units, Lecture rooms, Mobile military Field Units plus much much more!